In honor of St Patrick’s Day, we are going back to 1980 and taking a look at U2’s first appearance on television. It was on the “The Late Late Show” which was hosted by Gay Byrne. Back in those days, the Irish Rockers were more New Wave/Post Punk. Netflix is bringing back the 80s sitcom Full House. The series will star the now grown up kids from the series. Candace Cameron-Bure, Jodi Sweetin and Andrea Barber will reprise their roles of DJ, Stephanie, and Kimmy. John Stamos is set to co-produce and also bring back his Jesse character. Also, The original series producers will return for the reboot. Negotiations are under way with the rest of the stars of the original sitcom. The Great 80s September 12, 2014 September 12, 2014 No Comments on 80s Hit 99 Red Balloons played with.. Red Balloons! 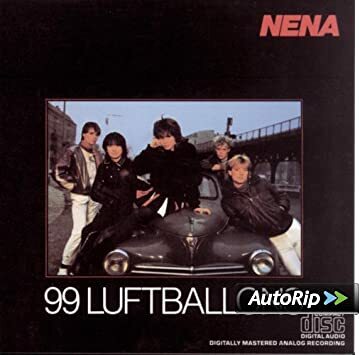 Normally we don’t like remakes of the great songs from the 80s, but you have to love this take on Nena’s “99 Red Balloons”. The video maker takes the song literally and uses red balloons to put out a great sounding rendition. Now the only question left.. is this the English or German version? !